Over the years I’ve been pretty fortunate to try some awesome business class products. I’ve long booked flights based on convenience, though a couple times I’ve been able to go out of my way and try some new business class products as well. 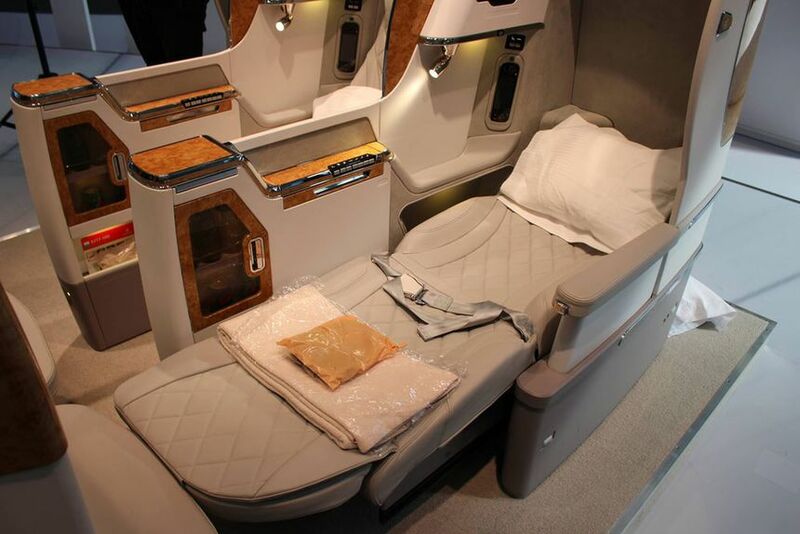 Qatar Airways’ awesome business class comes to mind. Over the next couple of months I’ll also get to try a few other business class products that have also been well-liked over the years, and I’m expecting some pretty good flights. On the other end of the spectrum, I find it very interesting when I try airlines that talk a big game, though deliver an underwhelming product. So far the airline that has done this the most throughout my (rather limited) sample size is Lufthansa (as far as longhaul flights go). Their business class seats aren’t the best, their catering is appalling, and their service culture wasn’t great the last time I flew them (fortunately that has improved since, though the subpar business class seats and catering remain). Now that I fly with parents I’d like to make sure we try some of the best products at optimal values. However, since I’m a year away from flying alone multiple times a year, I’d like to make a point to fly as many products as I can. Simply flying amazing products won’t allow me to properly see the market average and evaluate a product fairly, so here are some of the products that I think will balance out the amazing products that I’ve been able to try so far. Okay, let’s start with a business class product that I know I’ll have a chance to try in the near future. I’ve been to Virgin Atlantic’s Clubhouse at London Heathrow before, and I’ve also seen their 787 Upper Class product a couple of times. I know that they have a good soft product, and I’ve heard good things about their crew as well. However, I haven’t seen a single good review regarding their herringbone configuration. This irks me especially since Virgin Atlantic took legal action on airlines that were “stealing” their idea by installing herringbone seats. Herringbone seats face the aisle, so you’re not protected from foot traffic at all; as a kid I liked Cathay Pacific’s version of these seats as I liked the feeling of hiding behind the walls of the seats, but now that I’ve almost doubled in height, I doubt there’s any privacy to spare anymore (even in the below picture you can see a few heads bobbing above the seat walls). I could be wrong, though. While I’d like to give Emirates crap for their old, subpar 777 business class (while I haven’t flown before, I know what flying in a 2-3-2 configuration is like, and it’s not pleasant), I can’t, as they’re willing to swap that out…for a product still in a 2-3-2 configuration. Oh my. While the seats look comfortable, I’ve read so many reviews about how impractical the seat is, since even with the privacy divider down there’s no way you can talk to your seatmate – and the (warm) minibar makes basically half of the seat’s features out of reach. I’d really like to try this product just to see if it’s half as bad as people say it is. Let’s not even mention that the rollout for these business class seats has probably been around one plane per five years. I’d really like to try United’s 777-300ER Polaris product. It seems like a genuinely improved, well thought-out product, with a good seat and great amenities. However, I can’t get over the fact that the longer of United’s two flights from Hong Kong is still operated by a 777 that has the same number of business class seats abreast as they have premium economy seats. I’d really like to try United’s old product before it disappears, and given how poorly executed the Polaris rollout has been, I think I have a decent shot. When Etihad first introduced their new “Business Studio” I thought they had one of the better products in the market. However, Etihad has done so much cost-cutting in the past couple of years that I can’t imagine that the product is half as good as it used to be. I do have plans to try Etihad in the next couple of years, and I’m really wondering whether it’ll just be a sad reminiscence of a previously great product, or still a decent way to fly one-stop routes around the world. I’m not a fan of brands and companies who overpromise and underdeliver, and that’s what I’m suspecting the five airlines above to be doing right now (to varying degrees – for example, I have my doubts about Etihad, whereas I know that the British Airways product will be subpar in most, if not all ways). However, I can’t judge products without trying them, and that’s what I aim to do in the next few years. Have you flown any of the above products before? Were they better or worse than you expected? Am I being fair to the above airlines? ‹ PreviousWhich Products Are Next Up On Our Review Roster?